Lay the RIGHT foundation for your blog with this Free 2 page worksheet! 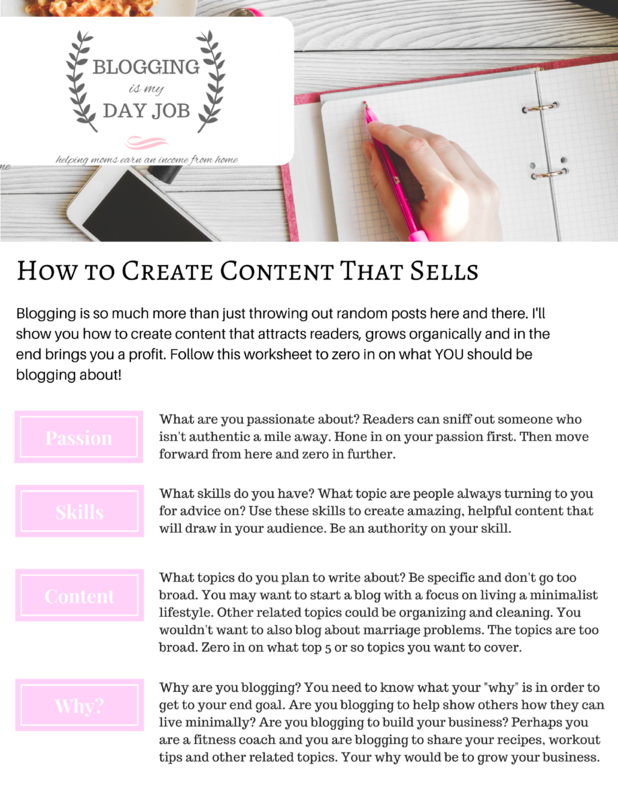 This 2 page worksheet is the foundation for building a successful blog. Complete this before you even choose your domain name. If you want to create content that sells and have a profitable blog then you need a firm foundation. I'll show you exactly how to do it right the first time! Get your FREE 2 page worksheet and learn how to create content that sells. This is the first piece of the puzzle before you start creating your blog! Your free 2 page worksheet will arrive in your inbox shortly! Be sure to add us to your contacts so you don't miss any freebies that we send out! Join My Elite Facebook Group!